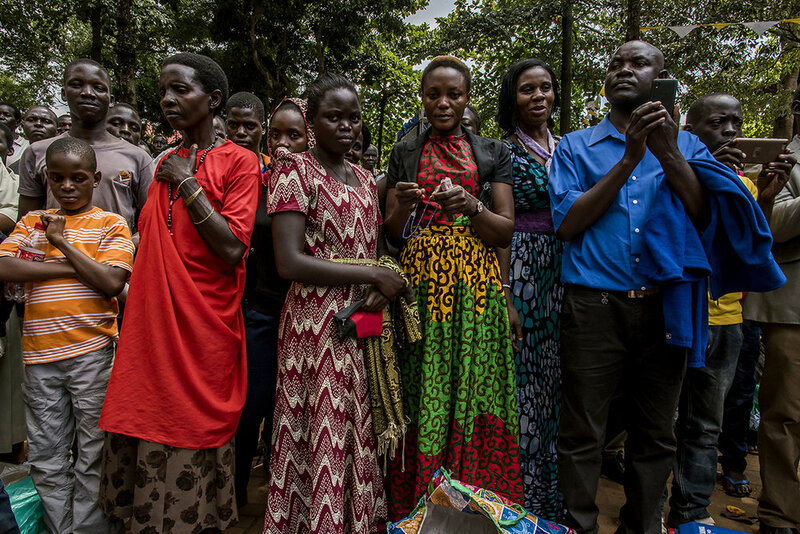 The episode of the Ugandan Christian Martyrs is a turning point in Uganda modern History and a key purview in national narrative to fix firmly the country in Christianity. On 3 June 1886, 32 young men, catholic and anglican, pages of the court of King Mwanga II of Buganda, were burned to death at Namugongo for their refusal to renounce Christianity. 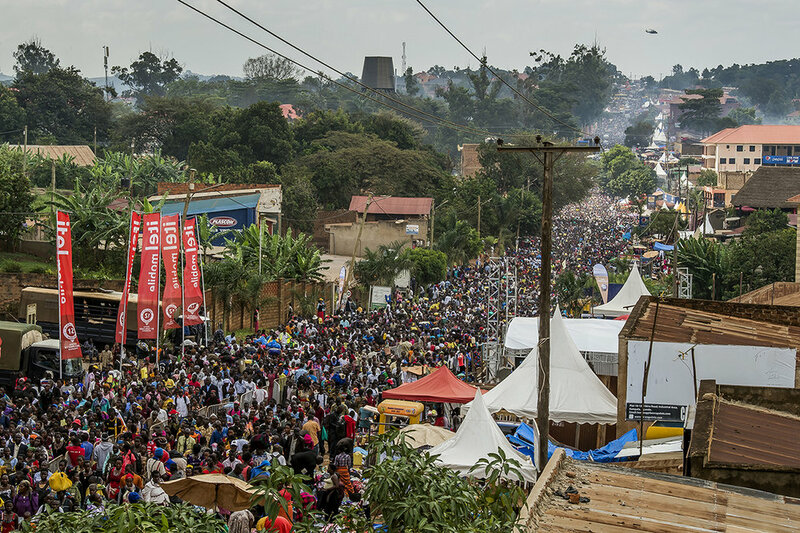 On the 6th of June 1920, the day the Uganda Martyrs were beatified in Rome, a Dutch Missionary priest, Stephen Walters organized a pilgrimage to Namugongo in honor of the newly blessed Martyrs. During this pilgrimage he priest conceived the idea of acquiring land to build a church at the very spot of the martyrdom. He later bought 8 acres of land. 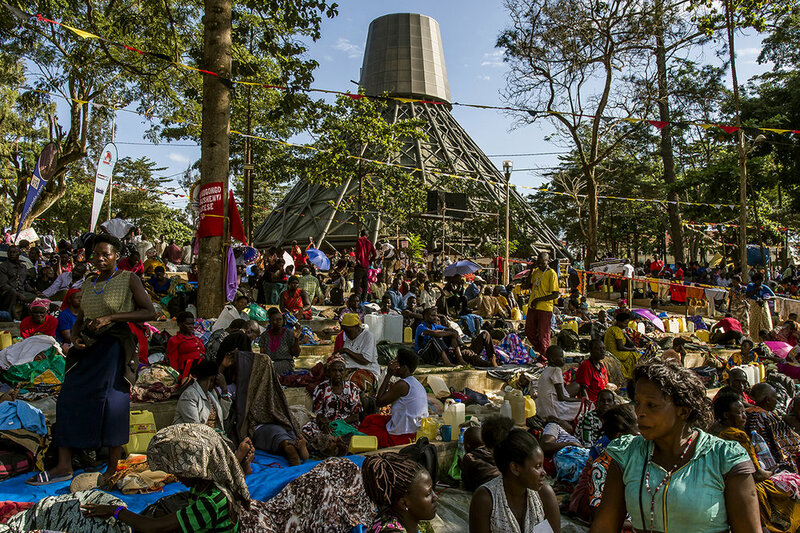 The Namugongo Anglican and Catholic shrines are located in Kira Municipality, Wakiso district, about 16 kilometers of Uganda's capital Kampala center. Twenty-two of the Catholic martyrs were canonized by Pope Paul VI on 18 October 1964 and are regarded as saints in the Catholic Church. A basilica has been built at the spot where the majority of them were burned to death. A church stands at the place where the Anglican martyrs met their death, about 2 miles (3.2 km) further east from the Basilica of the Uganda Martyrs. 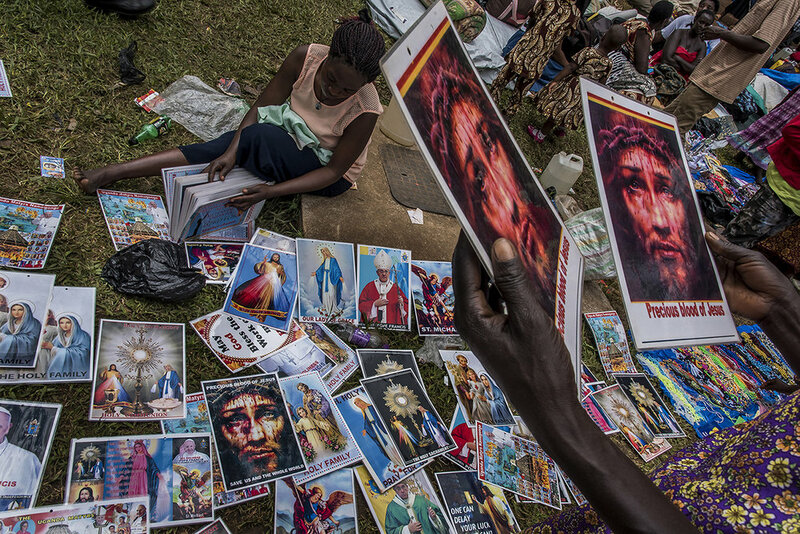 Since, annually on 3 June, Christians from Uganda and neighboring countries gather in Namugongo to commemorate the life and religious beliefs of the Ugandan Martyrs. The majority walked there, sometimes for several weeks. They arrive during the days preceding the ceremony and settle on in the amphitheater of greenery which overhangs the altar, built on an islet at the end of a man-made lake filled with holy water coming from a stream. The holy water is believed to have originated from the spot the Uganda Martyrs were killed from. Other locals say the water source was originally a stream where Mukajanga, the kingdom’s chief executioner, washed his clubs and panga which he used to torture and kill as commanded by the king. 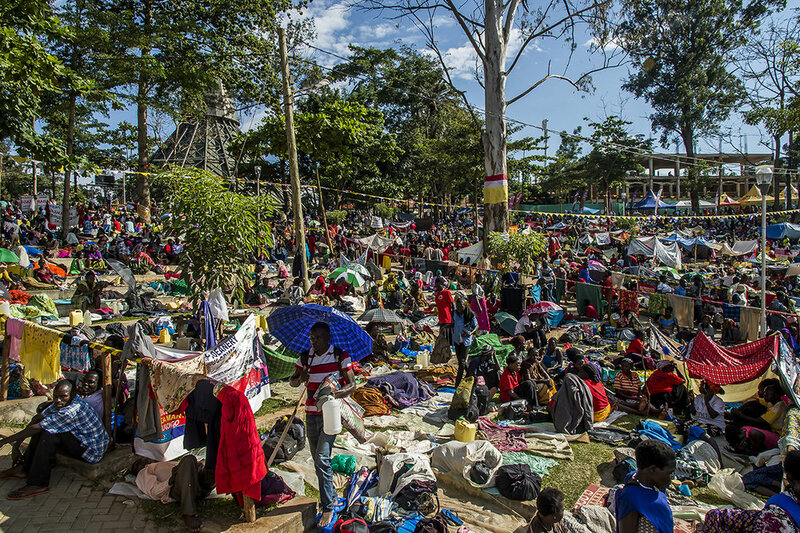 Pilgrims endure long queues to fetch holy water both in Anglican or Catholic shrines. It is believed that who drink the water or bathe it get healed from ailments.